Ready for some indoor paper cutting activities? Let’s do some fun exercises with a new pack of free printable Winter Cutting Practice Symmetry Worksheets for kids. 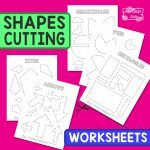 These cutting sheets are perfect to strengthen fine motor skills and to keep your kids busy for a while in those cold winter days. Print out the worksheets and let the paper cutting begin! 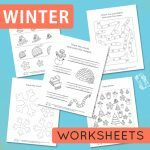 You will get 4 unique winter scissor practice symmetry worksheets in the pack. On the first page, kids will be creating a snowman. The second page has a big snowflake to cut out. On the third one, little hands need to cut out a big winter hat. And on the last worksheet, there is a penguin. 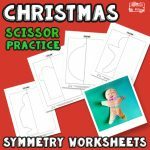 Each scissor practice worksheet has a line of symmetry in the center of the page, where kids need to fold it. The cutting exercise can begin. Encourage your young ones, to cut nicely along the dashed line of each folded worksheet. After they cut along the outline on each folded page, they will get 4 lovely winter-themed shapes. Decorate the shapes by drawing and coloring them in your own way. 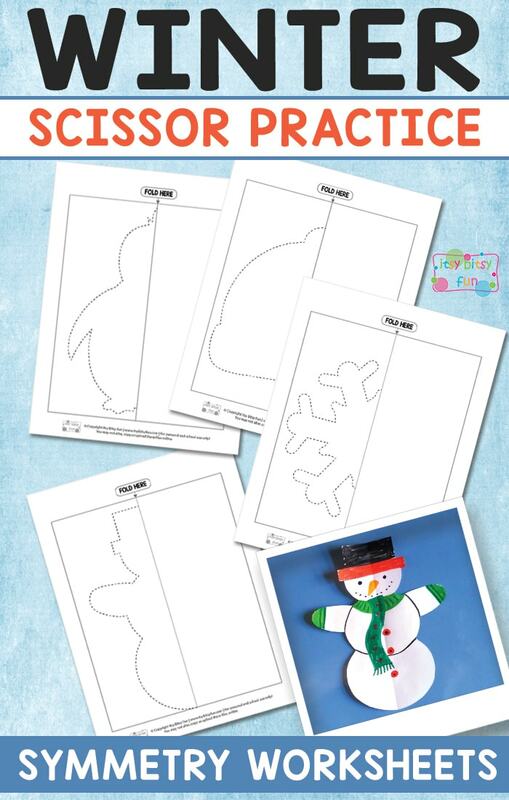 Kids can draw the eyes, a nose, a hat, gloves, buttons, and a scarf onto the image of a snowman. Make the winter hat as colorful as you want it to be, color the snowflake and decorate the penguin. 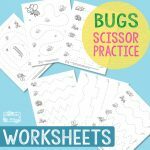 These free scissor skills practice worksheets are perfect for fine motor skills development and understanding of mirror images as well. When you’re all done, find a nice spot to display them – the will surely look nice as a window decoration. 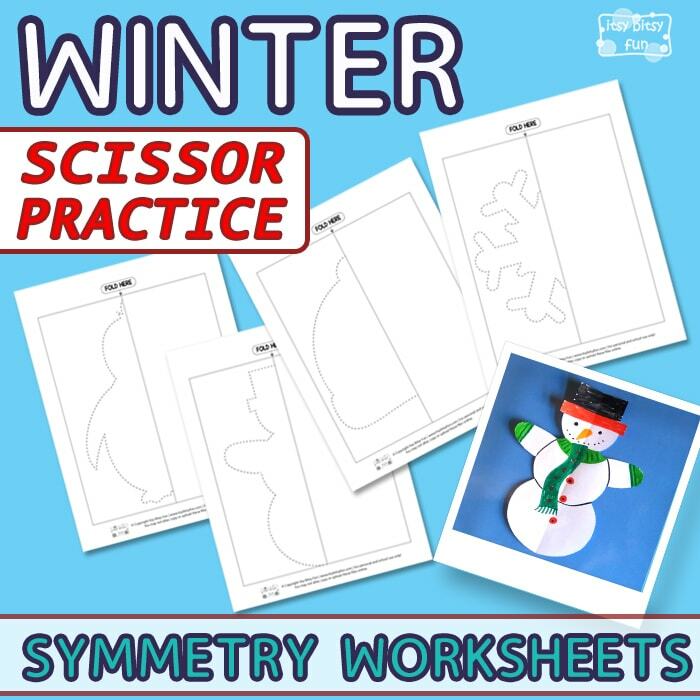 Get your free Winter Scissor Practice Symmetry Worksheets for Kids here. 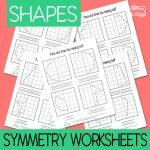 Do some more scissor exercises with the free Cutting Shapes Worksheets and practice some more skills with the Shapes Symmetry Worksheets. I just wanted to say thanks for these resources they are great. I am a childminder and the kids really love them. Thank you so much! It means a lot to hear that.